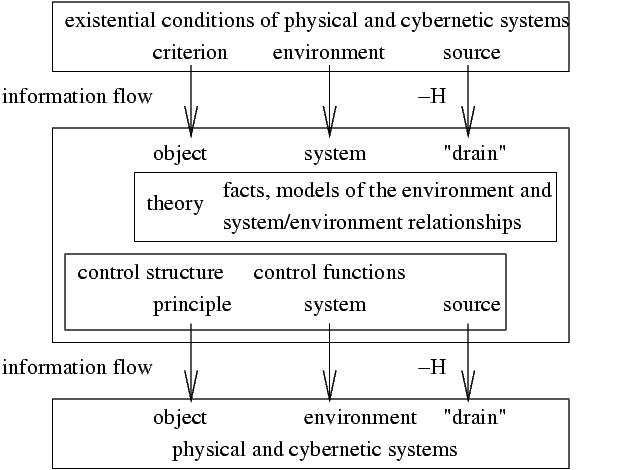 The criterion adapted by the system actively approaches the environment as a working principle of the system. It contains all life expressions of the system. Its characteristics are determined by the criterion under which the system evolved. The conditions of formation for the system are reflected in itself. If the principle replaces the criterion in the course of transition to self-organization, the positive autonomization of the system can lead to a self-actualization directed inwards. Essentially, the system sets its own criterion. It is heading up an evolutionary blind alley in which forms can emerge that are completely out of touch with reality. Stability increases, flexibility diminishes.